IEVOA committee member Roger Lamb participated to Today with Sean O’Rourke, sharing the view of the association on EV ownership. 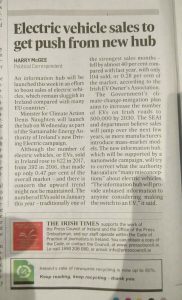 The IEVOA (The Irish EV Owners Association) welcomes the initiative as announced by Minister Shane Ross and feel that this is a step in the right direction to incentivise the uptake of electric vehicles in Ireland. This step is important as currently Ireland is “second-worst in EU on climate change action” as published by the Irish Times on Monday June 18 th 2018. Ireland is liable to face annual, non-compliance fines of approximately €500million should we not reach our emissions targets. In Ireland, transport is second only to agriculture when it comes to CO2 emissions and therefore electrifying our private transport plays a key part in reducing these emissions and bringing us closer to meeting our targets. 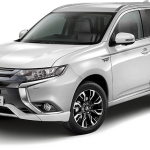 On the matter of plug-in hybrids being included and conventional hybrid cars being excluded, the IEVOA feels that this is appropriate as, while conventional hybrid cars do have some electric components, they have very limited electric only range. 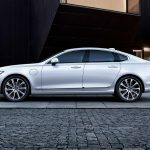 The result of this is that conventional hybrids still emit quite high amounts of CO2 through their tailpipe emissions – roughly 70g of CO2 per kilometre vs 140g CO2 per kilometre for the same size petrol car. With this in mind it makes sense to incentivise only vehicles that are capable of running without actively producing dangerous emissions from their exhausts. 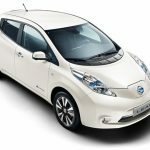 It is important to highlight this difference amid confusing claims being made by some manufacturers that their hybrids are “self-charging” and therefore do not need to be plugged in. 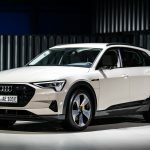 This claim can cause confusion and lead people to believe that these cars are just like plug-in hybrids without the charging and this is certainly not the case. 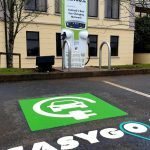 make Ireland a more EV friendly country. Issues such as further development, support and repair of the charging network are high on the committee’s agenda. 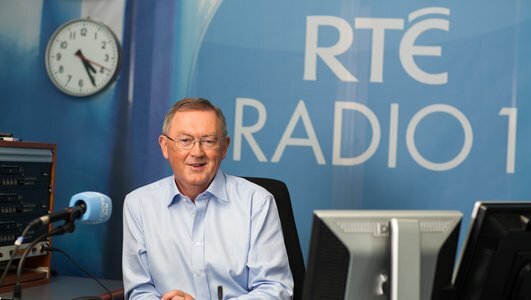 Yesterday it came to our attention that RTE aired a program called “Today with Sean O’Rourke” which had a segment on EVs in Ireland. 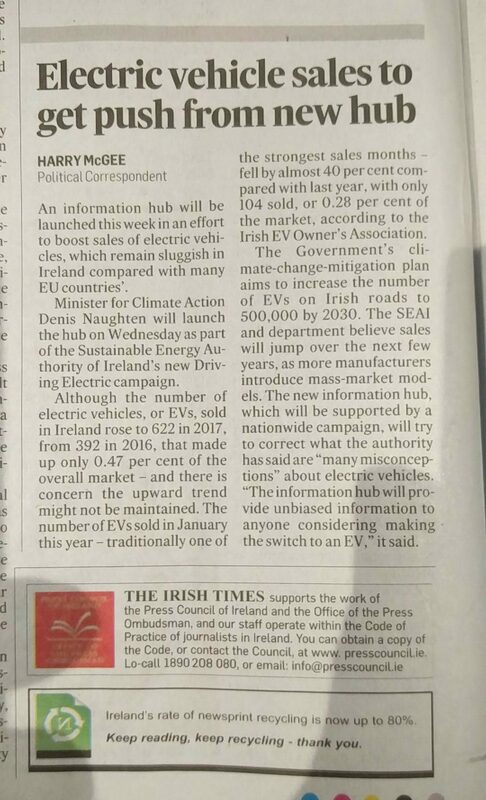 It is our belief that this segment was a breach of the Broadcasting Act 2009, section 39(1) subsection B in that the content of the program was entirely based on subjective opinion and it presented these opinions as fact in a manner which could do damage to the uptake of EVs in Ireland. 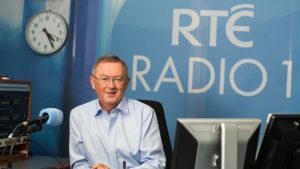 RTE did not, in our opinion, provide enough of a counter argument nor did it make any effort to espouse any of the positive aspects of EV ownership. As such, the committee has submitted a formal complaint to RTE following their formal complaint procedures. We wish our members to know that we take these matters very seriously and always aim to be proactive in meeting these issues head on. We will continue to update our members on the progress of our formal complaint as and when we receive updates from RTE or the BAI.